The Long-Term Costs Associated with a Traumatic Facial Injury - Crooks, Low & Connell, S.C. When you get hurt in an accident, one of the most important reasons to hire an attorney is to make sure you recover just compensation for your future losses. Serious injuries can lead to a lifetime of medical bills and complications; and, if you fail to assert your rights (or if you settle your claim too soon), you could very well find yourself struggling with the financial and emotional burdens of someone else’s mistake. While this is a concern with all types of accident-related injuries, it can be of particular concern with regard to traumatic facial injuries. These include eye injuries, nose injuries, jaw injuries, burns, and lacerations resulting in scarring or disfigurement. 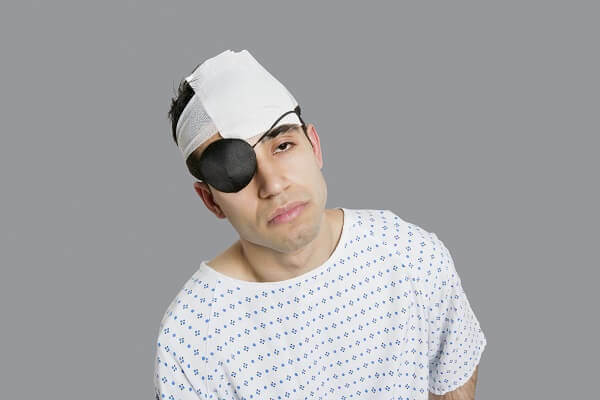 Medical Expenses – Facial injuries will often require long-term medical care, including multi-stage surgical procedures, rehabilitative therapy, and pain management. Loss of eyesight, olfactory senses, and sense of taste can take a severe emotional toll as well, and individuals who suffer disfiguring facial injuries will often need to seek ongoing psychological or psychiatric therapy. Inability to Work – If you are unable to work as a result of your injury, or if you are forced to leave your current occupation and seek a lower-paying position, your loss of income through retirement age will almost certainly be substantial. Physical Pain – In Wisconsin, accident victims are entitled to financial compensation for the pain and suffering caused by their injuries. Burns, scars, and other permanent facial injuries will often leave victims suffering from daily physical pain. Disfigurement – Facial injuries can often leave permanent marks, such as scars or burns. These markings often mean more than future medical bills, pain or special care: for some, they can mean a lifetime of self-consciousness, embarrassment, covering up or looking in a mirror and seeing a reminder of the trauma that caused the marks. An individual can seek compensation for “disfigurement” in order to recover for these aspects of harm. Emotional Trauma – Even with professional therapy, individuals who have suffered severe injuries will frequently experience lasting emotional trauma as well. Like pain and suffering, emotional trauma is categorized as a “non-economic” loss for which long-term compensation is available. Loss of Relationships, Services, and Enjoyment of Life – The physical and emotional effects of traumatic face injuries can extend to practically all aspects of an accident victim’s life. From being unable to witness children’s achievements and family events to losing the ability to drive, taste, smell, or engage in old hobbies, the list of potential consequences from a facial injury is virtually endless. To ensure that you have the best possible chance to recover compensation for the long-term costs of your facial injury, it is important that you speak with an attorney promptly. An experienced injury attorney will be able to identify all potential sources of compensation (including third-party claims if you were injured at work and need to file for workers’ compensation), and will be able to calculate the full extent of your long-term losses. While traumatic face injuries can be devastating, they do not have to ruin your life. To learn more, schedule a free consultation today. If you have suffered facial injuries in an accident in Wausau, the personal injury attorneys at Crooks, Low & Connell, S.C. can help you seek just compensation for your current and future losses. For a free, no-obligation consultation, please call (715) 842-2291 or send us a message online today.